From this day, April the 24th, the web of the Province of St. Nicholas of Tolentine, Order of the Augustinian Recollects, assumes the union of Provinces to be undertaken by the 127th Provincial Chapter, and will cover the vast reality of the new provincial community arisen from the union of the provinces St. Nicholas of Tolentine and St. Augustine. Technical improvements and a new reorganization of contents, together with the connection to Entrayveras.org, round off the updating. Starting today, the 24th of April of the year 2018, the feast of the Conversion of St. Augustine for the Augustinian Family, after more tan 14 years as the official web communication, the Province of St. Nicholas of Tolentine presents a new approach to understanding and sharing electronic information in the provincial web, which goes beyond the obvious visual changes taking place today for those who previously visited this page. 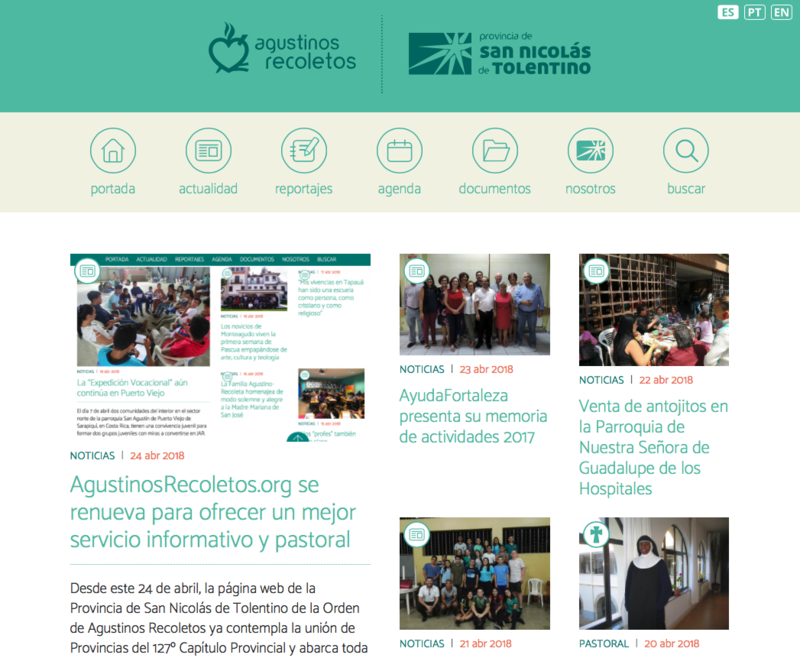 Changes respond to technical, aesthetic and content criteria, as well as the important changes that will take place in less tan a month at the institution the web belongs to: from may 14, 2018, it will incorporate the communities and religious of the Province of Saint Augustine of the order of the Augustinian Recollects. Technically and aesthetically, the web page was certainly in need of some updating, basically to better adjust to new forms of navigation, which have varied in a significant and substantial manner over the last few years; at present, mobile devices are the recurrent form in using the internet. Until now, the website has not taken into account this wide range of devices and screens. Our readers will find that, from today on, the information adapts perfectly to the shape of your screen for readability, navigation, searching and viewing photographs and audiovisuals. In addition, the most advanced languages and systems currently available have been incorporated into the internal architecture and the content management system. At the same time, the most important references have been applied to facilitate web searches from external search engines. In terms of contents, the cultural heritage, documents, reports, agenda and the fixed information explaining the charism and the historical and missionary aspects have been streamlined and reordered. The current affairs’ section will from now on incorporate news as well as information on pastoral, vocational and testimonial matters. 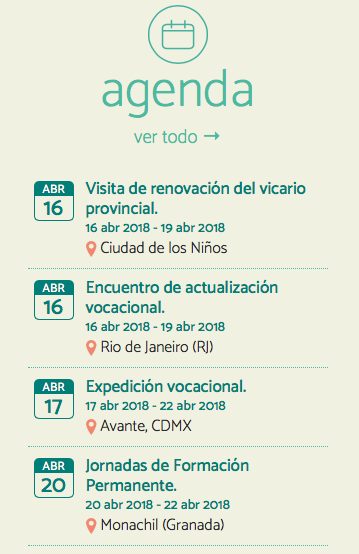 The page Entrayveras.org, which up to now contained information about pastoral and vocations’ promotion, has been integrated into AgustinosRecoletos.org, so that henceforth they will constitute a single page. Thus, the reader will find the offer of contents much more complete, which will attend to three fundamental criteria : to make known the Augustinian Recollect Charism; to share life and faith by creating bonds of community and seeking spiritual growth ; and lastly, to show itself before society, believers or nonbelievers, by offering dialogue, debate, respect and social promotion from the common values we share with people of good will: human rights, peace, dignity, human ecology, defense of Creation, preferential option for the disadvantaged, social justice. Needless to say, one of the most important criteria applied while we were preparing this new website has been to avoid losing information. Calendar notices and dozens of reports, testimonies, etc. 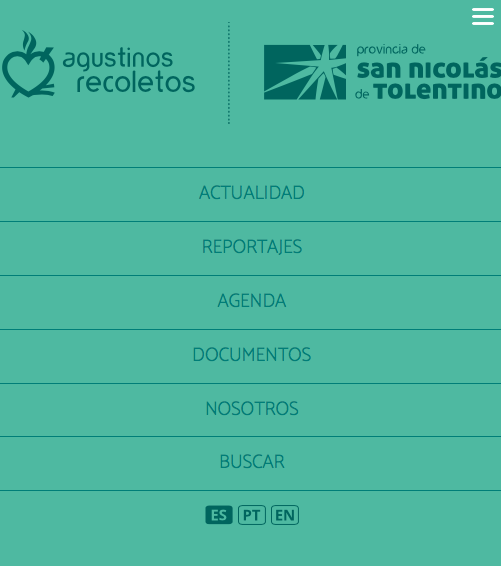 All this then is incorporated into the new web with its new accessible format, in an effort to safeguard the history, testimony and proposals to society of the Province of San Nicholas of Tolentine, through its public communication system. 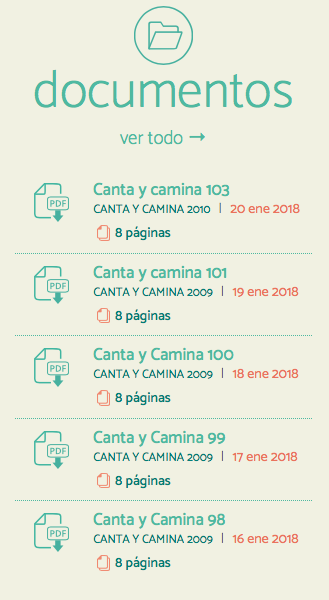 It was an important bet because, over the years, the AgustinosRecoletos.org has also become a significant database, and what has been published so far remains detached from the present, to join the historical testimony. We hope this new informative offer will gain the favor of visitors, while it makes it easy for them to browse through our contents. 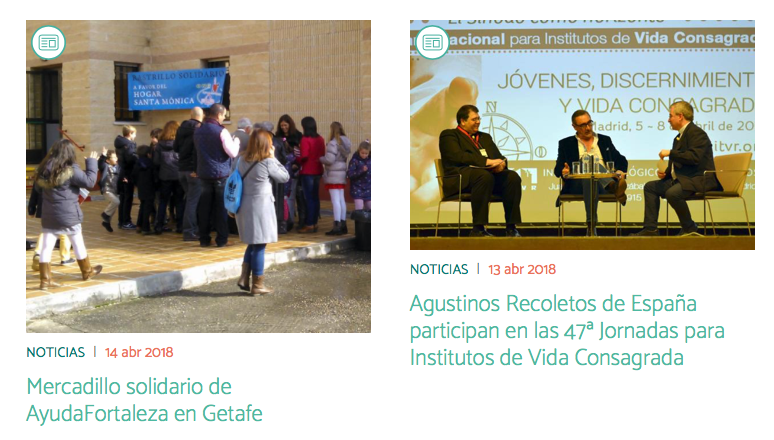 Likewise, It allows to find in a single place news about our provincial community, pastoral and charismatic resources for spiritual growth and celebration of faith, as well as life testimonies and debates. 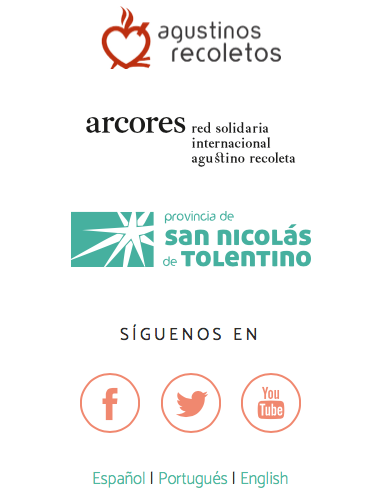 All this is complemented by the social networks, audiovisual platforms and contributions afforded by the rest of the Augustinian-Recollect Family throughout the world.